Talk of microphones often revolves around the type (dynamic or condenser), and the polar pattern (omnidirectional, cardioid, etc. ), but there’s more to a microphone. 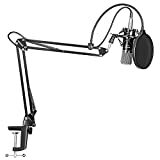 Studio Recording Microphones are great for performances (such as musicals, stage shows, or musical groups), broadcasts (for news organizations or courtrooms), communication (video conferences, teaching lessons, or interviews), and speech recognition or voice command especially for the disabled. They are also versatile and flexible to use – you can perform other useful tasks like cooking or checking traffic without the need to reach out your mobile phone’s inbuilt mic while talking. 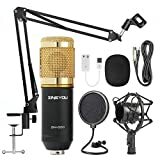 Want to record your golden voice? 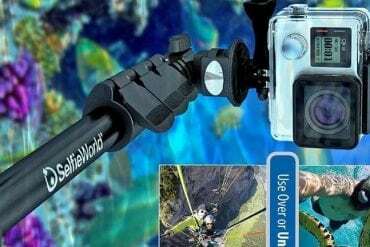 Or you need a device to communicate with? Whether you are in semi-pro or professional environment, or even a home studio, the type of mic you use is critical to getting the best combination possible. However, microphones come in different shapes and sizes and shopping for one is not an easy task. This is made even worse considering the complexity of audio recording. Knowing which microphone is perfect for your situation or needs is not a walk in the park even if you have a wide range of knowledge about sound. For instance, dynamic microphones are perfect for live shows while condenser microphones are mostly used for studio environments. 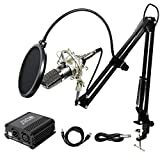 Apart from these two, other types of microphones include Ribbon, Electret, Piezo or Ceramic, vacuum-tube, Large-diaphragm and Small-diaphragm capacitor microphones, etc. All these types have different applications, but the most important factor when choosing one is how the microphone sounds in the required application. 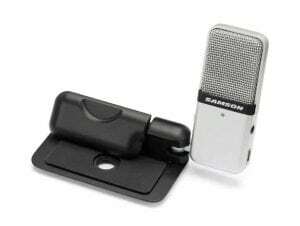 Make outstanding recordings that are out of this world with the Samson Meteor Microphone. 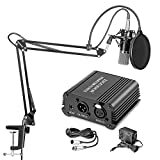 It is undeniably the universal recording solution for podcast and voice-overs and is suitable for home studio, Skype, voice recognition software, and iChat. With large condenser diaphragms (25mm), cardioid pickup pattern, and smooth frequency response, you get professional audio results no matter where and what you are recording. The headphone volume knob and no latency monitoring headphone output give you complete sound control. Thanks to the integrated microphone stand, now you can mount the Meteor Mic comfortably on your desktop stand. Alternatively, the Meteor USB Microphone can be plugged right into your iPad using Apple’s USB connector. No need for a powered USB hub! And now a microphone ideal for performers, audio professionals, educators, and recording artists! The Samson Go Microphone is a portable recording microphone perfect for field recording, and recording music and podcasts. It’s also an excellent solution for use with webcasting, voice-overs, iChat, and voice recognition software. The Go Mic is meticulously engineered with high-quality components to offer remarkably clear and professional audio production. Take your music to the next level! Use the Cardioid Mode and Omnidirectional Mode to capture vocals and musical instruments. Plug-and-play operation is completely compatible with your computer. The mic has a custom, compact design; you can sit it unobtrusively on your desk or clip it onto your computer. Take your music to the other side with Fifine K669 USB Microphone. It’s no surprise that this microphone takes pole position in this list of Top 10 Best Microphones in 2019 Reviews. 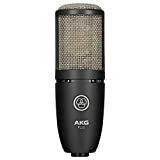 Perfect for podcast and voiceovers in addition to recording musical and singing performances, K669 is the best of the best. Obviously, you want something that gets the job done so you can focus on your creative work. 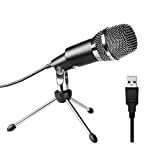 This USB microphone offers high-quality recordings, plugs directly into your computer and works with any communication platform or recording software. The microphone is easy to use making it ideal choice for field recording and home studio. Now you can create your video audio, and record vocals and instruments without any sound distractions by utilizing the cardioid pickup pattern. 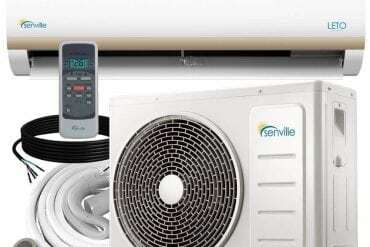 You’ll also like the portability and durability of this product! Looking for an all-round microphone? Look no further, the Fifine USB Microphone is ideal for recording musical and singing performances plus spoken applications like voice-overs and podcasting. With Fifine K668 you’re not limited to live performances or home studio recording, you can also use the microphone for Skype, gaming, Google Voice Search, and recordings for YouTube. The microphone is great for picking up vocals and filtering out background noise from the recorded audio, Thanks to the omnidirectional pickup pattern. This product also comes with a tripod stand for hassle-free setup during recordings and is compatible with both Windows and Mac OS platforms. 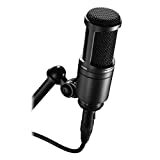 Coming in 4th in the Top 10 Best microphones in 2019 reviews is the CAD U37. Undeniably, CAD Audio is a significant player in the audio industry, delivering highly useful, high performance, cost-effective and innovative studio and live recording mics. 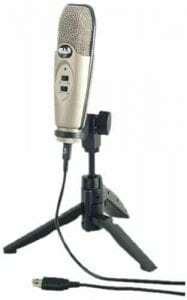 And CAD U37 USB Microphone is a testimony to this; it brings studio-quality audio to your home studio session, gaming and social media. Unlock your experience and creative edge! The U37 has an extended transient response, frequency response and smooth interpretation, making it excellent for speech, singing, and recording instruments. The switches minimize distortion and feedback from loud sound sources. The Bass roll-off switch can be used to shift between “Normal Bass” and “Bass Reduction” modes. Additionally, the U37 is simple to use and versatile, just plug the mic into your computer and start recording. Enjoy your recording experience with Lavalier microphones, perfect for recording clear and clean sound for professional results. 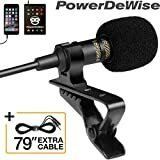 Whether you want to record Youtube, interviews, podcasts, video conferences, or your song, PowerDeWise omnidirectional microphone is the device to use! The mic cancels noise for sound recordings and is compatible with your PC, laptop, mobile phone and cameras that don’t require an active microphone. Now you can reproduce your voice instantly, and the best part is you don’t need additional plugs or batteries. 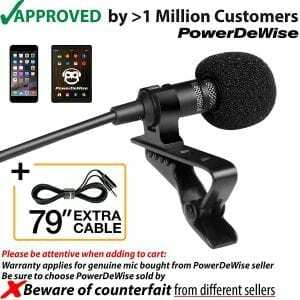 You’ll also like the 79-inch Velcro wrapped extension cord which enables you to move around the room or studio without unplugging the microphone, and the extra storage case that ensures your microphone is safe wherever you go! 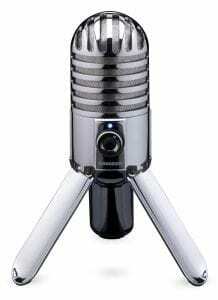 Undoubtedly, Flouren BM-800 is the ultimate professional condenser mic. 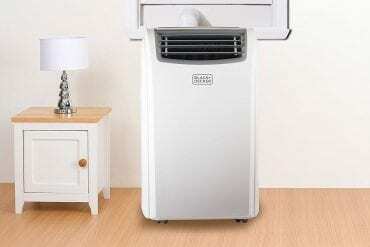 It can be used separately or connected to a desktop computer. 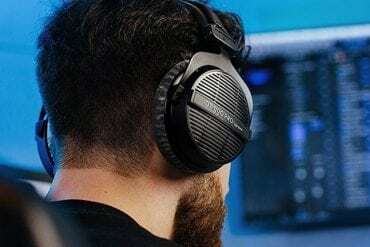 However, you’ll need to use a 48 Volt phantom supply or connect the microphone to an electrical outlet for clearer and higher sound, if you choose to use your laptop. With low self-noise and cardioid unidirectional pickup pattern suppress feedback; the Floureon condenser studio microphone is suitable for broadcasting stations, recording studios, computers, and adage performances. The high signal-to-noise ratio is boosted by the microphone’s crispness, vocal intelligibility, and more importantly the neodymium magnet feature. That’s not all; the shock mount also helps to reduce handling noise. 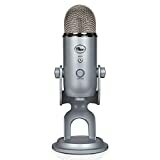 Another excellent product from Blue Microphones, the Snowball USB Microphone offers exceptional sound capture capabilities. This award-winning dual-capsule mic produces clean, crisp recordings that have no distortion or feedback. Perfect for vocals, podcasting, voiceovers, musical instruments, interviews, conference calls, field recordings, and more, Snowball has a plug-and-play design that is compatible with Mac and PC. Records are more flexible thanks to the unique pattern switch that allows you to shift between 3 different settings (Cardioid mode, the Cardioid mode with 10 dB PAD, and Omnidirectional mode). Apart from the brushed aluminum frame and metal grille, another impressive feature is the LED indicator that glows red when the microphone is powered. This is a bestselling microphone. What better way to create exceptional recordings directly on your Mac and PC with the Blue Yeti USB Microphone? Record vocals, podcasts, interviews, and instrumental music on the go thanks to Yeti’s multiple pattern selection (cardioid, stereo, omnidirectional, and bidirectional). Yes, that’s true! You don’t require multiple microphones to do standard recordings. What’s more; the proprietary tri-capsule technology enables you to produce pristine, studio-quality recordings. With simple headphone volume controls, instant mute, microphone gain, and pattern selection, you’ll be creating unparalleled recordings straight out of the box. 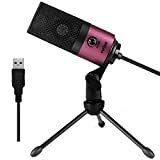 Recording audio has never been easier! The Yeti Microphone features a unique design that complements any computer system. Not only is the mic easy to set up, but it’s also portable and can be adjusted toward the sound source for improved sound quality. 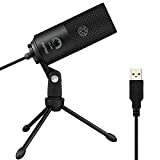 Connectivity – There are a few ways to connect your mic to whatever you are recording into including USB, XLR connector, and 3.5mm cable. For better sound quality the XLR-to-audio interface is more preferable. Your intended use – If you want to record vocals, the large-diaphragm cardioid polar pattern is the best option. Dynamic mics, on the other hand, are versatile for performing or recording anything. 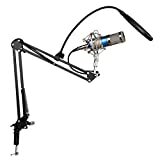 Additional Accessories – Cables, travel pouches, mic stands, pop filters, and windscreens are some of the accessories to check for. Your budget – Dynamic microphones are cheaper compared to top quality condenser microphones. Telex wireless microphones are extremely secure and have long battery life, but are extremely expensive. Your search for a microphone for your recording, performing, or communication is now easier than ever. Thanks to the Top 10 Best Microphones in 2019 reviews, you can now narrow down your long list of microphones to a single mic that is perfect for your needs.